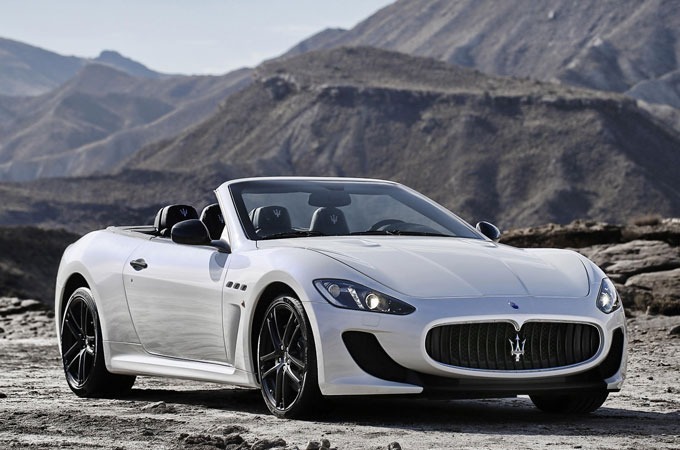 This is the Maserati Grancabrio MC, which will make its debut at the 2012 Paris motor show later this week. 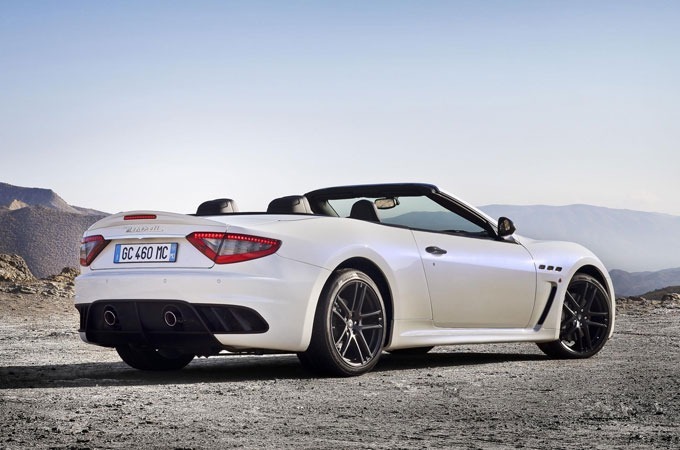 The hot soft-top is 48mm longer than other Grancabrios and is based on the range-topping Granturismo MC Stradale coupe. 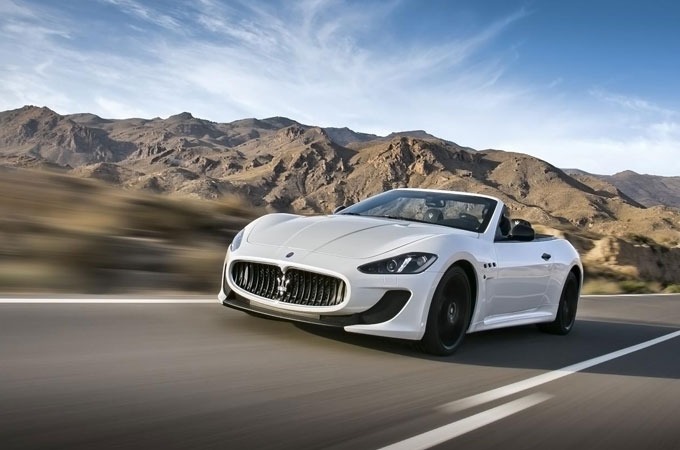 Maserati hasn't released any technical details, but the Grancabrio MC is expected to use the same 453bhp 4.7-litre V8 engine as the MC Stradale. Performance is likely to be similar as a result, so we'd expect a 0-60mph time of less than five seconds and a top speed of more than 180mph. The front of the Grancabrio has a deep spoiler and large air intakes. At the rear, there's a bootlid spoiler and a new bumper with integral splitter. It also gets side sill extensions and bespoke alloy wheels.